Bollen, Roger. Very Good. It's Not Easy Being a Bunny (Beginner Series) by Sadler, Marilyn, 1984-04-16. Glued binding. 48 p. Beginner Series . Includes illustrations. Intended for a juvenile audience. Bollen, Roger. Good. 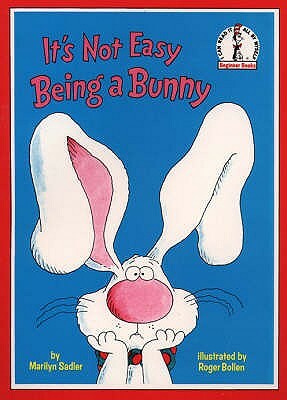 It's Not Easy Being a Bunny (Beginner Series) by Sadler, Marilyn, 1984-04-16. Glued binding. 48 p. Beginner Series . Includes illustrations. Intended for a juvenile audience. Bollen, Roger. Fair. No dust jacket. Sewn binding. Cloth over boards. 48 p. Contains: Illustrations. I Can Read It All by Myself Beginner Book (Hardback). Audience: Children/juvenile.